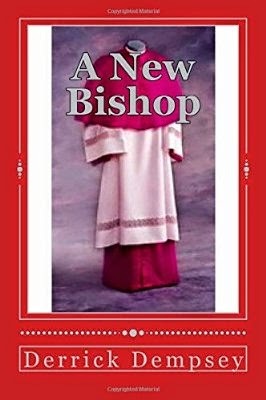 Today we are interviewing Derrick O Dempsey, author of A New Bishop. I'm an author of 32 books, from a small town called Williamston North Carolina, 2 hours away from the State Capitol Raleigh NC, avid bodybuilder, air jordan shoe collector, loves to travel, write. Meeting new people, pre cancer survivor. A young man raised in the Church bred to grow up and become the new Bishop and possibly the Presiding Bishop, after tragedy hits home, he leaves God behind and becomes the opposite of what he has been raised. What inspired you to write a book about a man of faith who goes from a life of success to a life of sin? My inspiration was based on my life and the people whom may grew up around me that this same path, this book is non fictional in so many ways, in my life and my peers also. This is a very personal story, not only for me but millions around the world. Who you think will appreciate this book? This book will be appreciated and accepted by anyone who struggled with something they weren't brought up in, but redemption is always there. Is there a deeper meaning in your book other than the entertainment? Yes it is, the meaning is we all mess up in life but we always come back to what our parents or grandparents installed in us true values. Joesph. That's my dad's name, and I put alot of myself and my experiences in that character. My next project will be a boxer who has to throw his championship fight to pay back the Mafia, no other payment will be accepted, he do it or his life will end that same night. Is there anything else you'd your like potential readers to know about your book? The book is great, I feel your enjoy it and it shall hit home, what we all have been released from or what we have stopped doing that may have changed our lives. This is me Derrick Dempsey redemption is always there for us all!